No pre-payment — the commitment cost is billed monthly. While the vCPU aspect is fairly straightforward, the memory commitment to purchase requires a bit of thought. 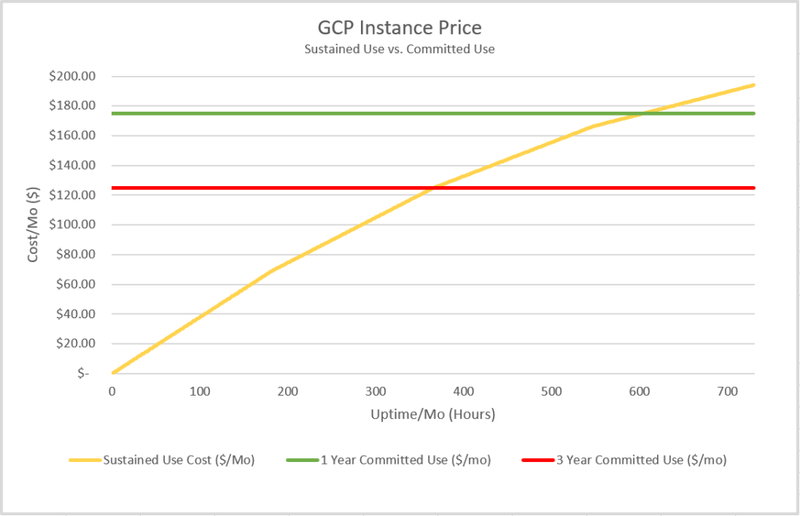 Since it is not based on a specific machine type (like AWS and Azure), you must decide just how much memory to sign-up for. If your set of machine types is homogeneous, this is easy — just match the vCPU/memory ratio to what you run. The good news here is that you are just buying a big blob of memory — you are not restricted to rigidly holding to some vCPU/memory ratio. The billing system will “use up” a chunk of memory for one instance and then move on to the next. Originally published at www.parkmycloud.com on July 26, 2018.